It was a fascinating time to be in Scotland this past week. Aside from the tourism and exploration of Edinburgh, I found that the heated movement for Scoh’ish independence was very interesting. Call me ignorant, but truth be told, I did not know much about English-Scottish conflict prior to my visit. I’ll admit, I’m still no expert; I’m very much confused by the conflict, as are most people outside of Great Britain Scotland. Nonetheless, it was great to learn about Scottish history and the independence debate that is raging in the UK right now. 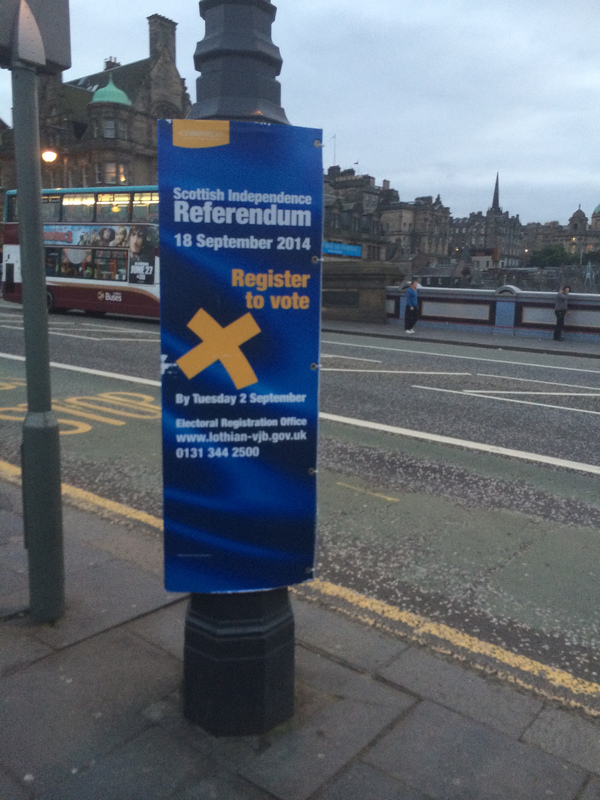 Every block seemed to have a poster similar to the one below, urging citizens to cast their vote. 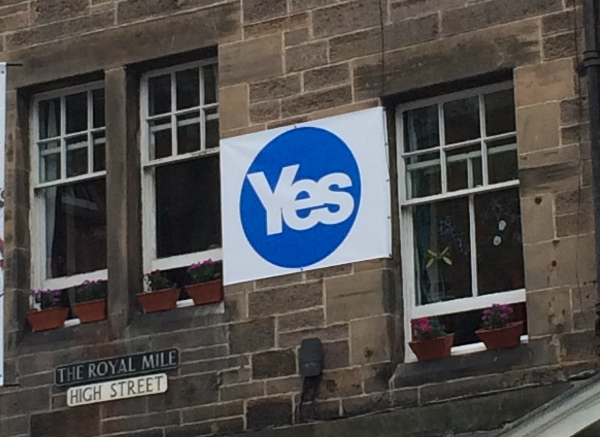 Plastered all over the country, from downtown Edinburgh to deep in the Highlands were political signs, though the resounding “YES” camp was much more vocal (“NO” found here and here). 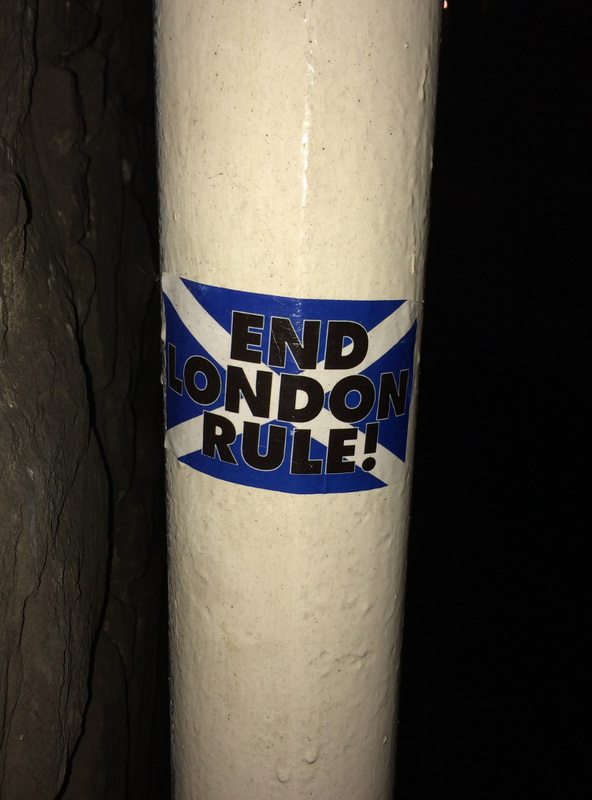 After 700 years of conflict with England, there is still very strong anti-England sentiment within Scotland. I suppose I never realized to what degree it existed; I was aware that one should never call a Scotsman English, but I didn’t realize the extent of strong distaste for England that some Scottish had. I’m in no position to judge — I can’t say if it is right or wrong, justified or not, for good reason or bad. Scottish independence and UK unity affect global politics and economics, which, down the line, affect me, but studying the Scottish independence movements and animosity towards England from the position of separation that I have from the conflict (my life won’t drastically change one way or another) makes the whole situation very intriguing. We’ll see what September 19th brings.